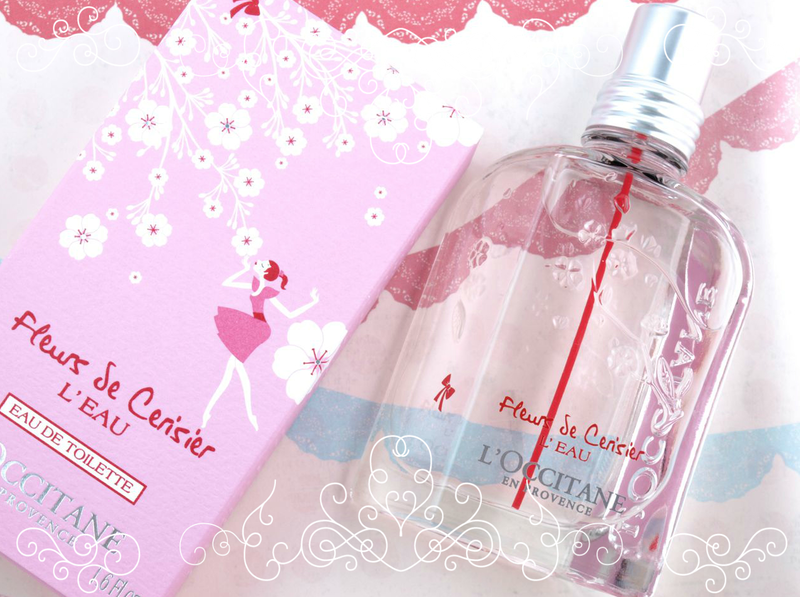 Housed in a simple clear glass bottle, Fleurs de Cerisier is etched with cute designs of cherry blossom. The spray straw, interestingly, is bright red and it makes a pretty contrast to the clear bottle. This is a very fresh, young, and feminine scent. The cherry blossom is very prominent, even amongst the fruity top notes. The scent is summery and fun, something you can wear on a bike ride in the park or just strolling around the city. After one hour or so of wear, the scent mellows and the base wood and musk notes become more salient. The longevity of the scent is pretty good, it's noticeable even after five or so hours. 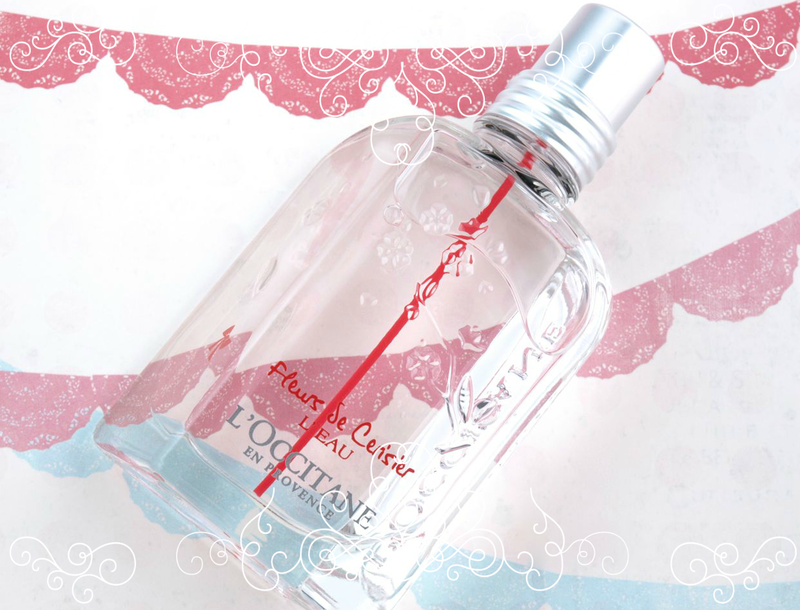 If you love pretty floral fruity scents, definitely give this one a whiff! L'Occitane is available online and in stores at L'Occitane boutiques across Canada.